Mar 15 - Mr. Jerry White age 67 of Soperton, passed away on Wednesday afternoon, March 13, 2019 at Fairview Park Medical Center in Dublin. Born in Soperton, he was one of twelve children born to the late Hardy and Minnie Allen White. He grew up in Soperton and attended the Treutlen County Public School System. 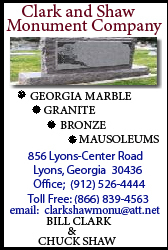 Jerry moved to the Atlanta area where he worked for a short time hanging and finishing sheetrock and painting. He returned to Soperton and began a long career with the Soperton Housing Authority. He performed all phases of maintenance and repair on Housing Authority properties for over twenty years. Jerry loved fishing and had attended Snowhill Church and Blockers Chapel. In addition to his parents he is preceded in death by his siblings, Junior White, Johnnie Murrell White, Bob White, David White, Christine Foskey and Albert White. He leaves behind his sons, Shane White (Michelle Duffee White), Soperton, GA, Daniel White (Brandie Barnard – White), Soperton, GA, siblings, Truman White, Arthur White, Roy Gene White, Rayford White, Helen White, a grandson, Jeremy A. White and numerous nieces and nephews. Funeral services will be at 2:00 pm on Sunday, March 17, 2019 in the Williams Chapel of Sammons Funeral Home with Reverend Albert White officiating. Mr. White will be laid to rest in Westview Cemetery. His family will receive friends on Saturday from 6:30 - 8:30 pm at the funeral home. His coworkers with the Housing Authority with serve as Honorary Pallbearers.